When the traffic jams and pressures of city living finally became enough for Kew-based art dealer Jonathan Cecil and partner Monique Soames, they took out a map of Victoria and started dreaming. Looking for somewhere out of town but still sophisticated in terms of lifestyle, they looked closely at the Macedon area. But it was Red Hill that won out. 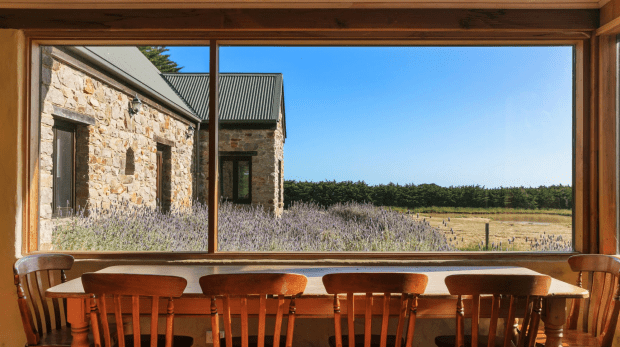 After spending a year renting in the area, the couple settled on a former restaurant and residence, with gorgeous views over the neighbouring chardonnay and pinot noir vines of Lindenderry Winery. He’s not alone. 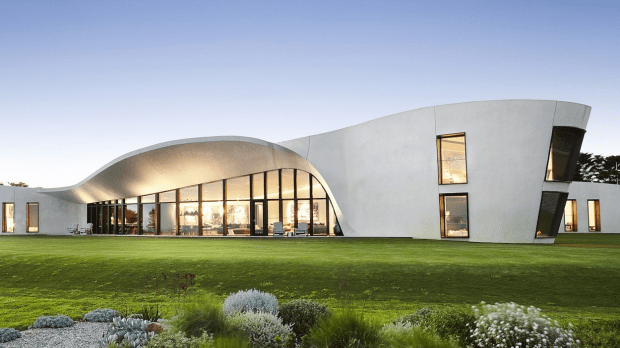 Quality food and wine offerings, rolling hills, proximity to beaches and easy access to Melbourne via the Peninsula Link have driven the market over the past two years, says agent Lisa Fraser-Smith, of RT Edgar in Flinders. With much of the land around Red Hill and neighbouring locales (think Flinders, Merricks, Main Ridge, Shoreham, Balnarring and Boneo) part of the Green Wedge management program, subdivision is limited by requiring a minimum area of 40 hectares. This means properties are in finite supply and more tightly held than those in Sorrento and Portsea, says Andrew Hines, director of Kay & Burton in Flinders. The key question for buyers in these parts really is “how big do you want to go?” If you’re not comfortable with agriculture, think carefully about inheriting a vineyard, for example. 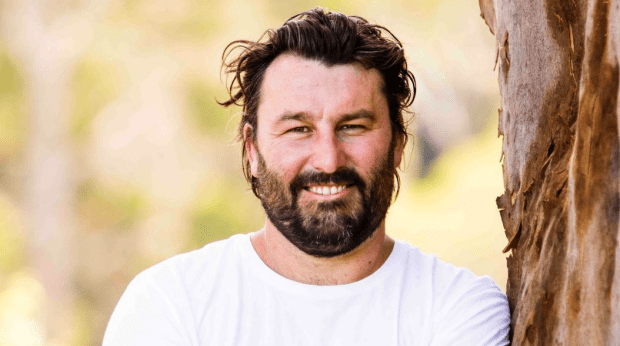 (Although, there are plenty of winemakers around who could be happy to lease and look after your land — you don’t want to spend all your spare time on a ride-on lawnmower.) Then again, if you can afford to buy in this area chances are you can probably afford to pay someone to mow those lawns for you. Is it the Provence or Flinders? This charming, three-bedroom stone cottage, set on about 3.2 hectares, was built 20 years ago by the current owners, one of whom is French, which helps explain some of its rustic aesthetic. Inside you’ll find rendered walls, recycled timbers and two fireplaces – one downstairs in the main lounge and dining area and the other upstairs in the parents’ retreat. While a cypressCyprus hedge along the property’s square boundary ensures privacy, views upstairs extend across rolling green farmland to the forever-changing blues and greys of Bass Strait. Suiting seachangers or weekenders, a large paddock means you’ll have ample room for that pony someone special has always wanted; a separate chicken run will keep you in eggs; and a small orchard of fruit trees (accessed through a delightful private garden archway) means you’ll never want for jam and marmalade again. Just five minutes’ drive from the village of Flinders and surrounded by golf courses, it’s also in walking distance from Kerry Green beach, a gorgeous spot known for its rock pools at low tide. Other property features include an upstairs clawfoot bath, a barbecue deck equipped with its own quaint stone outhouse and a garage/workshop connected to power. 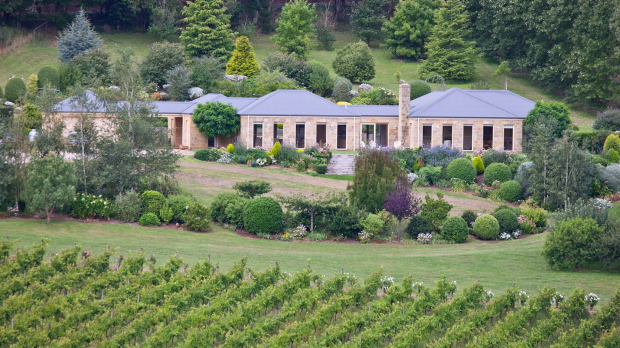 Built from Tasmanian sandstone this house sits on eight hectares and looks out over its own managed vineyard. Private sale. Kay & Burton Flinders, Paul Armstrong 0418 624 962. Daniel Besen’s Wood Marsh-designed mansion is created for city dwelling in the country. Spectacular on every level, with a price to match. Private sale. Sotheby’s, Rob Curtain 0418 310 870. 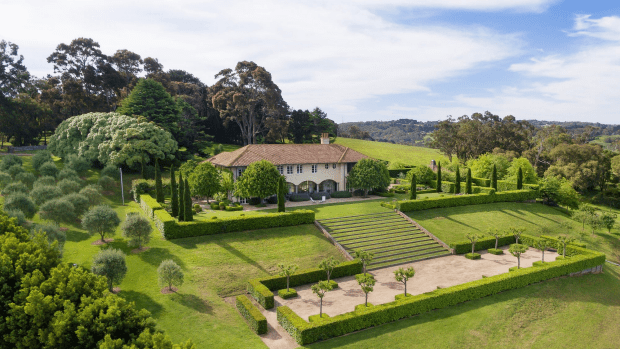 Set on 1.8 hectares with a Paul Bangay-designed garden and Stuart Rattle interior, this French provincial house has killer views across Western Port Bay. Private sale. Kay & Burton, Andrew Hines 0400 630 630. This story was first published on Friday, 27 January 2017 in the Australian Financial Review.